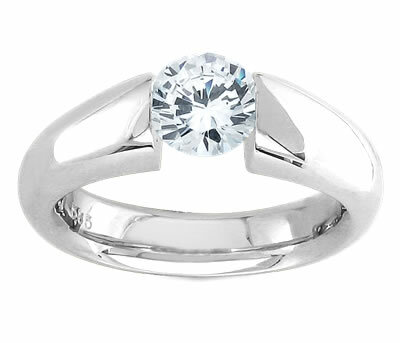 A dramatic way to display your gorgeous diamond is this tension-set engagement ring! This ring gently raises up your diamond for all to see while securely holding it in place. This ring is priced for mounting a 0.75ct diamond. Choosing a diamond outside of the 0.7ct to 0.8ct range will effect the price.